Any homeowner looking to decorate a room on a budget would be well served to consider pleated shades, since they are one of the less expensive products available for that purpose. 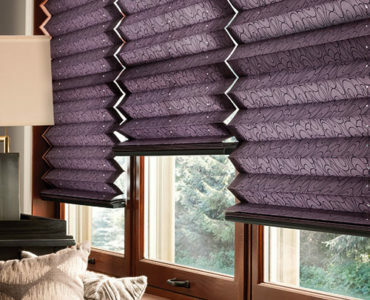 Pleated shades are lightweight, child-safe, and are more customizable because you can choose the patterns you want from a single, continuous piece of fabric. In this post, learn what about these features that make pleated shades unlike other window coverings. Some shades that you can buy are very bulky and carry a big footprint, but pleated shades collapse very neatly, and almost disappear as they lay flat. These are child-safe so youngsters in your home aren’t tempted to yank on them and cause some kind of mishap or accidental injury. 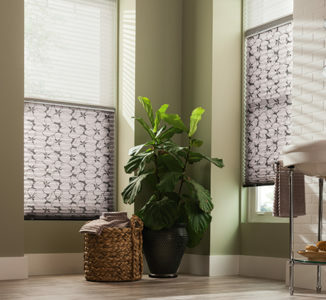 Pleated shades also offer a great deal of flexibility, because it’s so easy to customize them into the precise pattern you desire, helping you to achieve the maximum level of compatibility between shades and the setting where they’re to be installed. The fact that they’re cut from a single piece of material allows for this possibility of such a wide range of patterns, and that makes it very easy to create just the right effect for any given window area of your home. 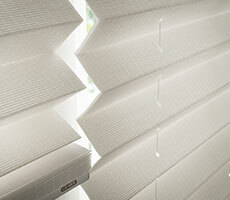 Simply choose the pattern that you want or ask us about designing your very own signature window treatment style. In this video see for yourself how compact and versatile pleated shades truly are! If you’d like to learn more about pleated shades and how they can provide the ideal window covering for your home, contact us today and we’ll be glad to consult with you about your specific home environment. You’ll be pleasantly surprised at how customizable they are, how easily they collapse into a compact unit, and how inexpensive they can be as a solution for your home decorating project.